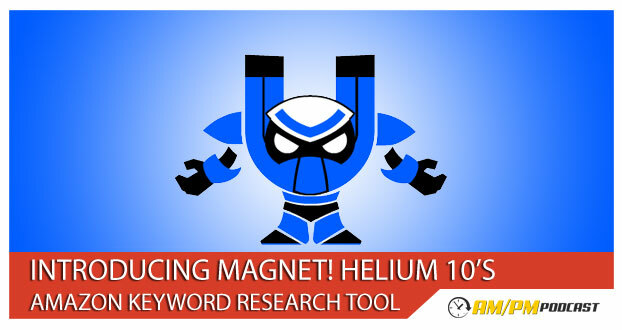 After months of developing, beta testing, bug squashing, writing, re-writing, we are excited to announce Helium 10‘s brand new Amazon keyword research tool, Magnet, was just released! Magnet is a keyword research tool for Amazon sellers who do not want to spend hours upon hours going from website to website and tool to tool looking for the best keywords to rank on the Amazon result pages. This tool allows you to quickly and easily discover the keywords your highest-ranking competitors use to rake in the profits. Additionally to Magnet, Helium 10 has just released Misspellinator. This tool allows you to quickly grab the top misspellings so you can optimize your listings with them. Last, but not least, Helium 10 now allows you to check for seasonality of your Amazon products with Trendster. Just enter an ASIN and let it do its magic. So listen to this announcement episode and head over to Helium10.com now!